May 29, 2013 By Allyson 18 Comments This post may contain affiliate links. Read my disclosure policy. Up until last year, I had never even had Brussels sprouts, but for some reason I had a bad mental image of them. People always talk about how they aren’t very tasty, or grew up hating them. Well, I think things have changed, or maybe cooking styles have changed, because if you cook these little green vegetables right, they are so delicious! First I tried roasting them with olive oil, salt, and pepper…..success! I think the key is letting them get a little brown and crisp on the outer layers. A little burn is good in the case of Brussels sprouts! Next, I tried roasting them again, but this time tossed in a Caesar dressing…..success! These were little explosions of flavor and I highly recommend that method of preparing. More recently, I wanted to spice them up…so where did I turn? Sriracha! Have you jumped on the Sriracha bandwagon yet? No? Yes? Regardless, this is the perfect recipe to try. This dish blends sweet (honey!) and spicy (sriracha) for the perfect flavor combination. Even if you are a Brussels sprouts hater, try this out and let me know what you think…I *think* you might be swayed in the other direction. This Sriracha glaze would be perfect for other things as well…chicken, tofu, fish, other veggies…you name it, I bet it would be tasty. Oh, by the way, The Savannah Bee Company is the bomb.com. Their honey is so so so good! If you can’t make a trip to Savannah, pop on over to their website and order some. I love the Sourwood, but all the flavors are to die for. AND, if you do by chance make it to Savannah, bee (haha) sure to stop at their store and do a honey sampling. LOVE! 1. Trim the ends off the brussels sprouts and then slice them in half. 2. On a baking sheet, toss the brussels sprouts with the oil and season lightly with salt. 3. Place in the oven and roast for 10 minutes. Toss and roast for 10 more minutes. 4. Meanwhile, whisk together the honey, sriracha and lime juice until combined. After the brussels sprouts have roasted for 20 minutes, pour the glaze over them, toss to combine, and roast for 2 minutes more. Recently I made some Sriracha Popcorn…ch-ch-check it out! I am telling you, try it and report back! Make sure you use fresh sprouts! 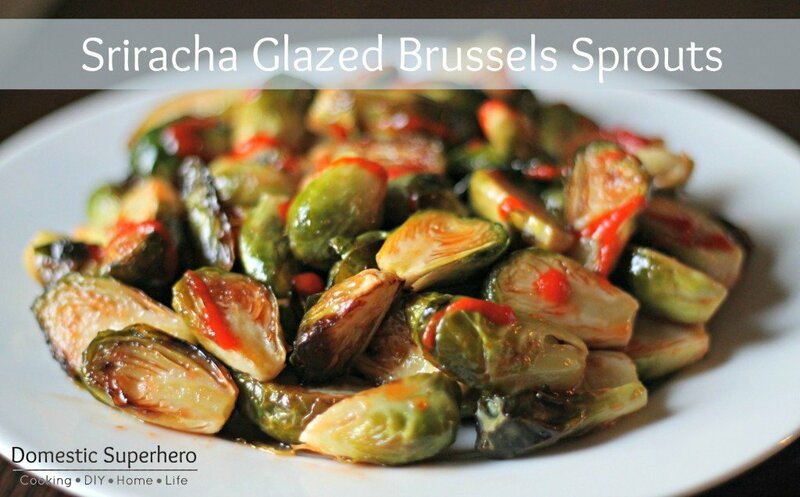 I love Brussels sprouts & this recipe sounds like a winner! Looks good! Will def give it a go! Easy and nutritious is a good combination. Ooh we will definitely have to try this! We just recently started making roasted brussels sprouts which we love. This would be a great way to change things up a bit. Thanks for sharing! I eat these roasted with olive oil, balsamic, and salt & pepper multiple times a week. I’m going to have to try this. I have never had brussels sprouts! I may have to try this! Enjoy reading through your blog and recipes.. 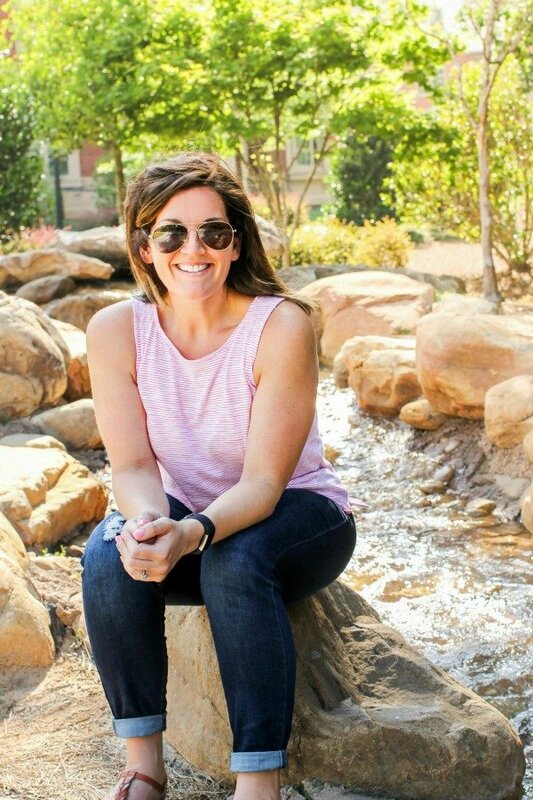 Thanks for coming by and taking a look around! Hope to see you around again soon! i also recently found out i like brussell sprouts! 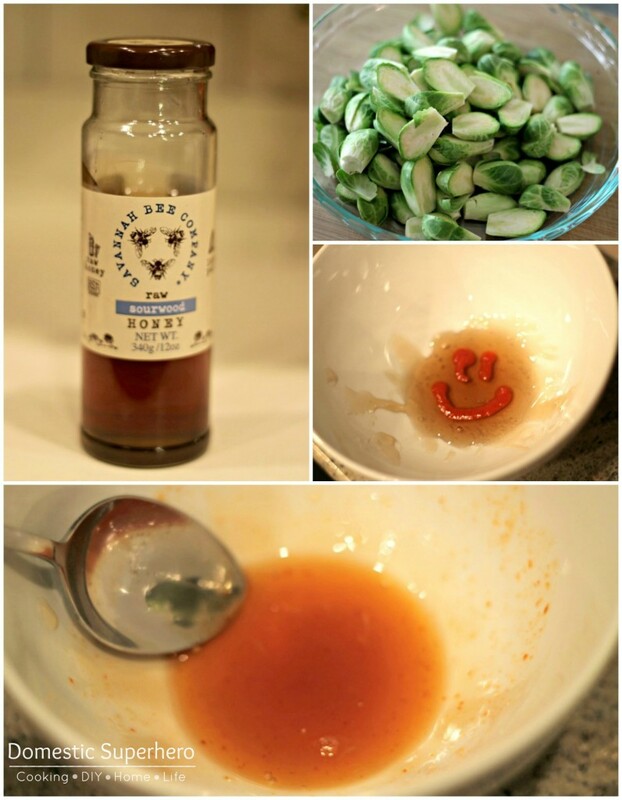 I will have to tell my hubby this honey/siracha idea – sounds yummy! We usually do a bacon mustard sauce for ours! also super tasty! That sounds good too! It’s so weird that it took so long for us to find out about these bad boys!